A quick and easy craft using Duck tape that will thrill your superhero fan. 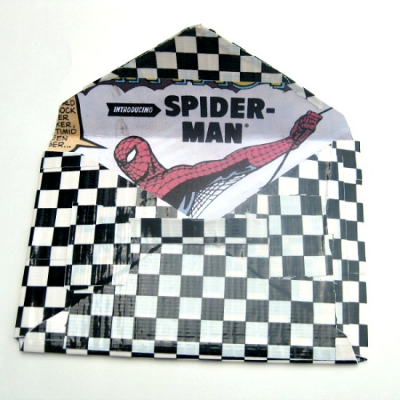 With a some supervision, younger children can make this superhero envelope and children 10 and up can create it with minimal supervision. You choose the superhero picture you want to use.